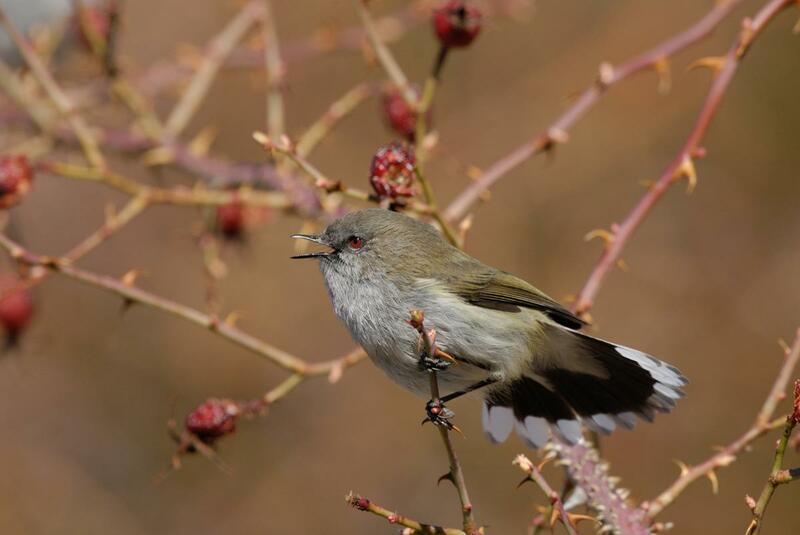 The grey warbler is New Zealand’s most widely distributed endemic bird species, based on the number of 10 x 10 km grid squares it occupied over the whole country in a 1999-2004 survey. 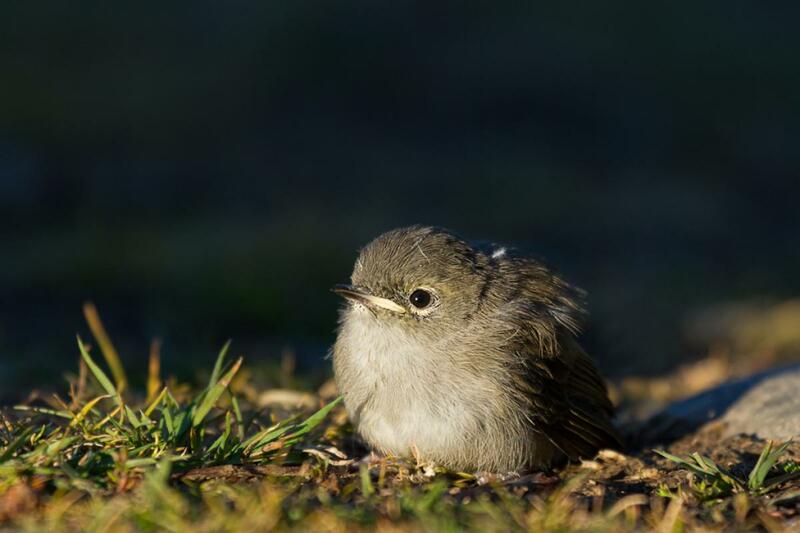 It vies with rifleman for the title of New Zealand’s smallest bird, with both weighing about 6 g. The title usually goes to rifleman, based on its shorter tail and therefore shorter body length. 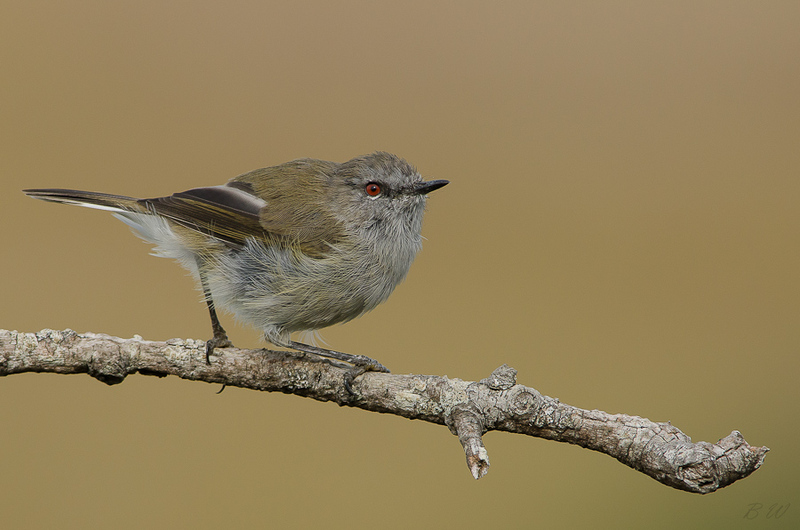 The grey warbler is more often heard than seen, having a loud distinctive song, and tending to spend most of its time in dense vegetation. 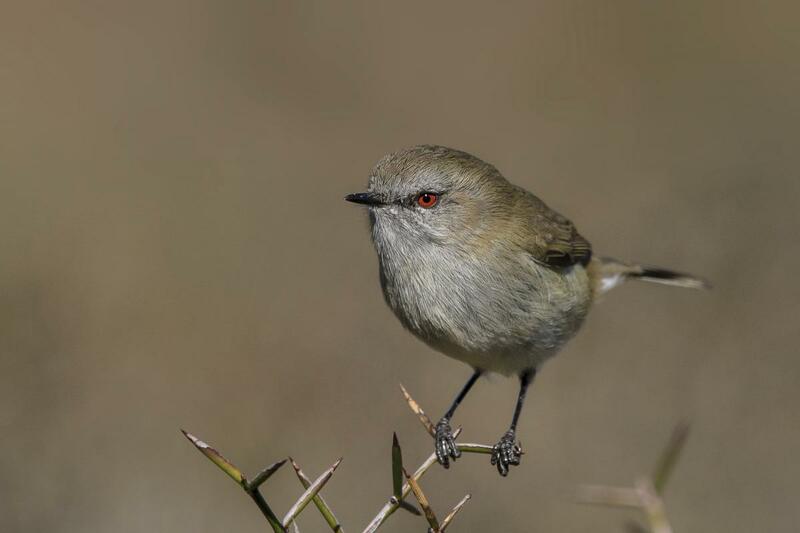 They are closely related to other members of the Gerygone genus, which are found throughout Australasia and South-East Asia, and include the other native warbler, the Chatham Island warbler. 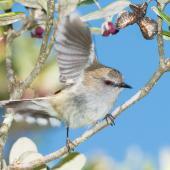 The grey warbler is a tiny, slim grey songbird that usually stays among canopy foliage. 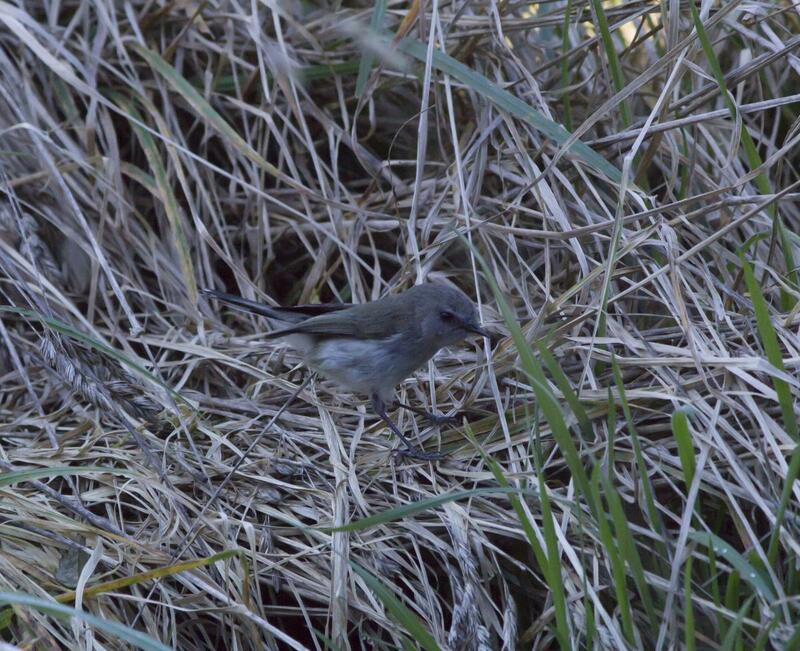 It is olive-grey above, with a grey face and off-white underparts. 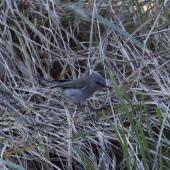 The tail is darker grey, getting darker towards the tip, contrasting with white tips to the tail feathers, showing as a prominent white band in flight. 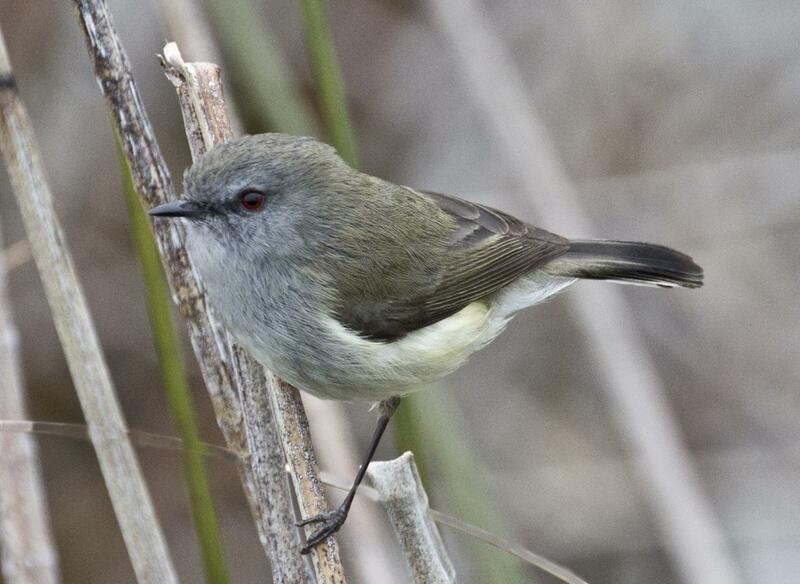 The black bill is finely pointed, the eye is bright red, and the legs are black and very slender. 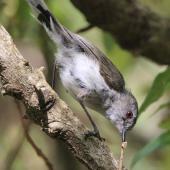 Grey warblers often glean insects from the outside of the canopy while hovering, which no other New Zealand bird does, making them identifiable by behaviour from a long distance. 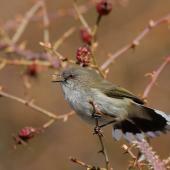 Voice: a characteristic long trilled song. 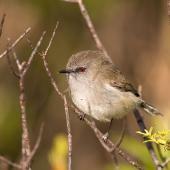 The song is louder than expected, given the bird’s size. 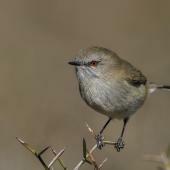 Only males sing, although females do give short chirp calls, usually as a contact call near the male. 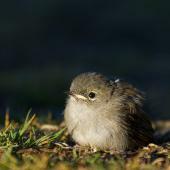 Nestlings and fledglings have a high pitched begging call. 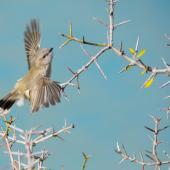 Begging calls are mimicked by their brood parasite, the shining cuckoo, while in the nest and as a dependent fledgling. 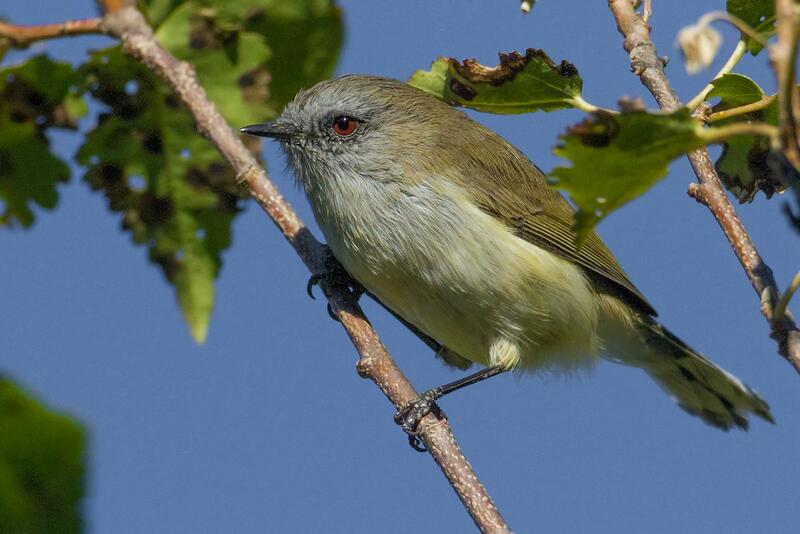 Similar species: silvereyes are slightly larger, greener above, with buff flanks and (in adults) a characteristic white-eye-ring. 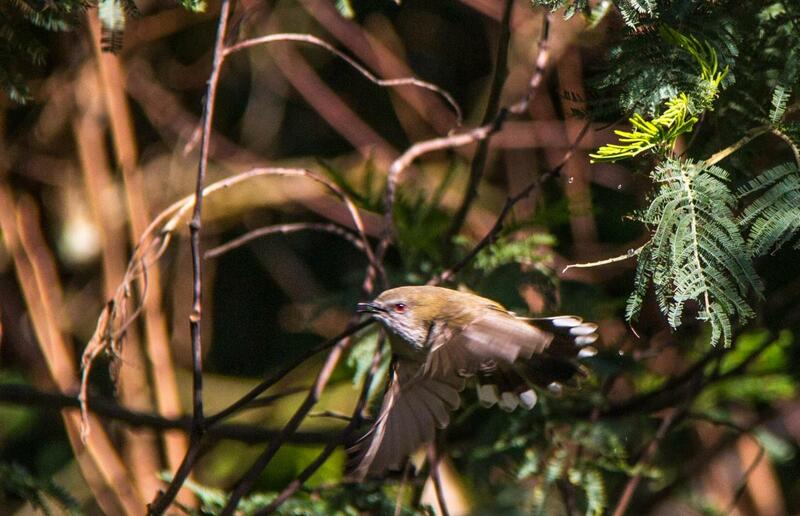 In flight, silvereyes have a plain dark tail without a white tip. 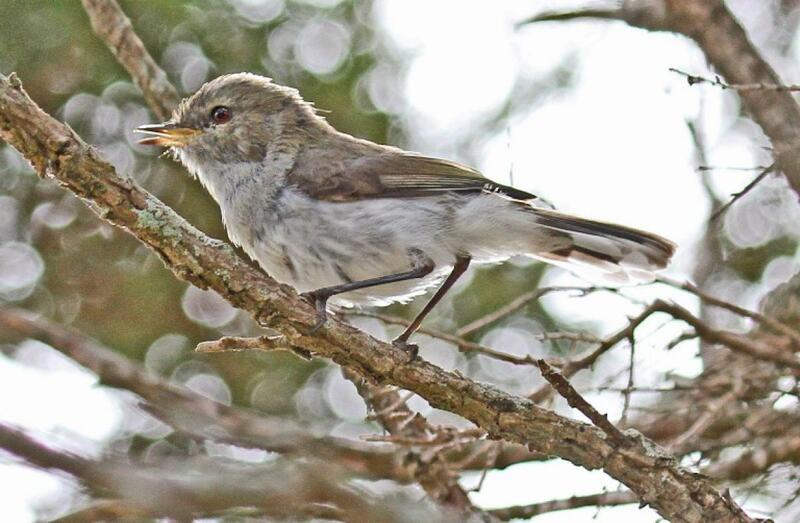 The grey warbler is ubiquitous, occurring everywhere there are trees or shrubs on the three main islands, and on most offshore islands. 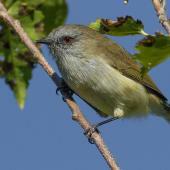 It is one of the few native species to have maintained their distribution in almost all habitats following human colonisation, including rural and urban areas. 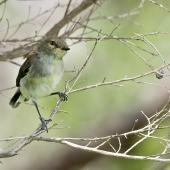 They are typically found only in woody vegetation, in mid to high levels of the canopy, making them difficult to observe. 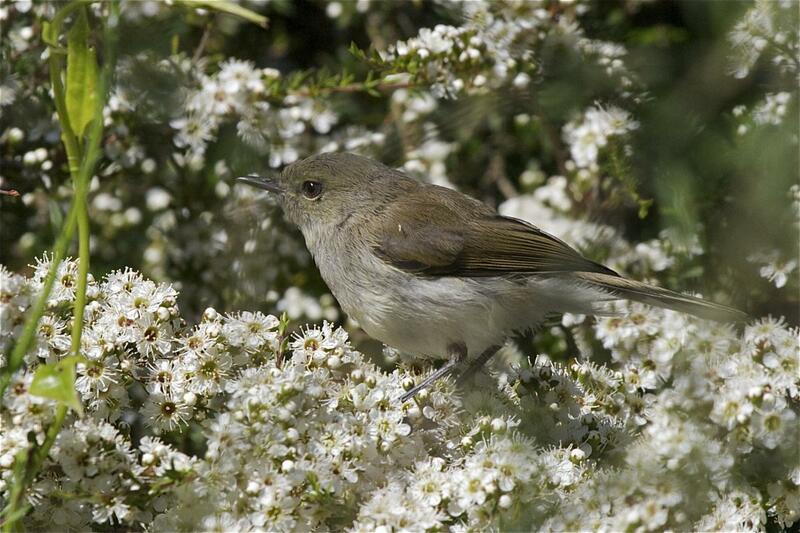 Alpine tussock is one of the few vegetated habitats where you are unlikely to find grey warblers. 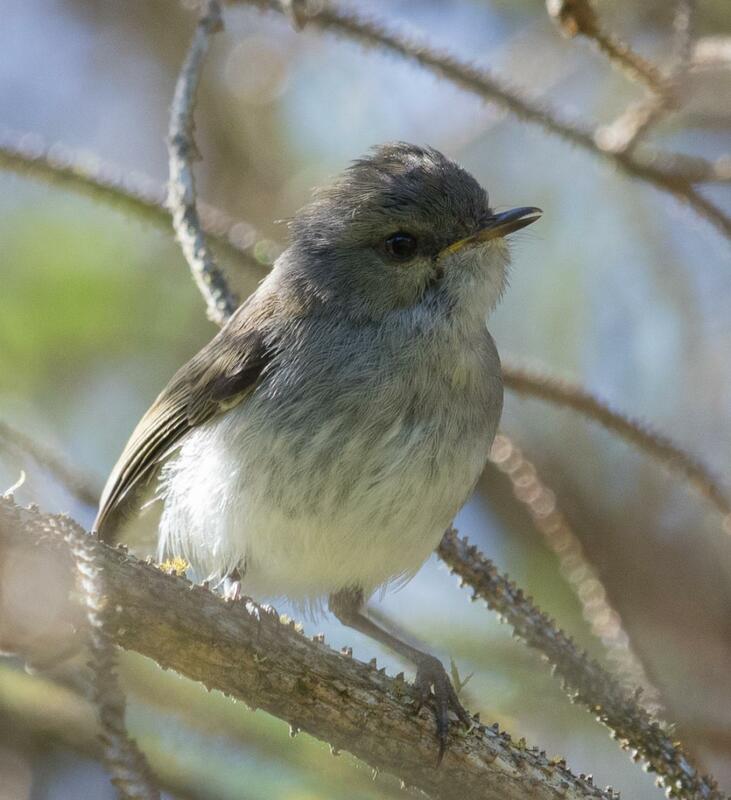 Grey warblers are locally abundant in suitable habitats throughout New Zealand. 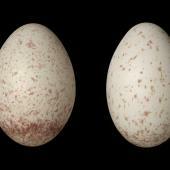 There are no population estimates, but they are not considered to be under any threat. 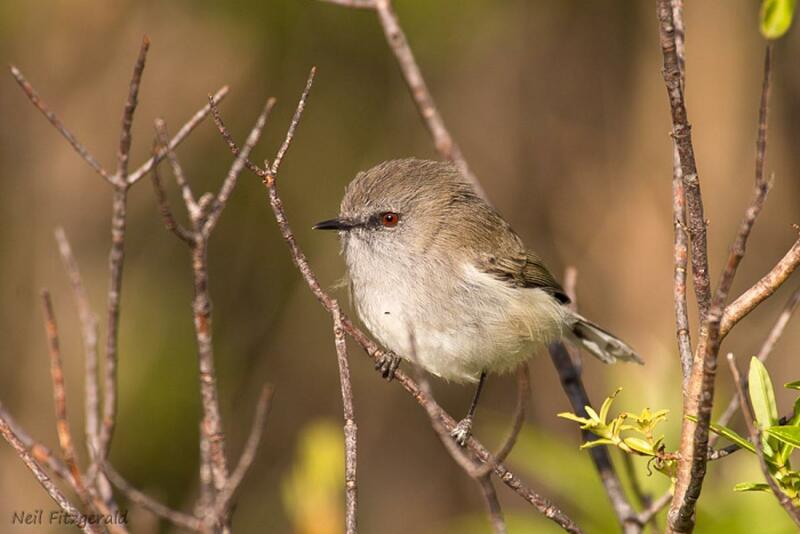 Grey warblers breed in spring and summer, typically from August to January, but can be as early as July and as late as February, with some variation by latitude. 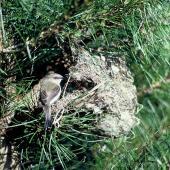 The nest is a hanging enclosed dome, usually found in the outer branches of the canopy, 2-4 m off the ground. 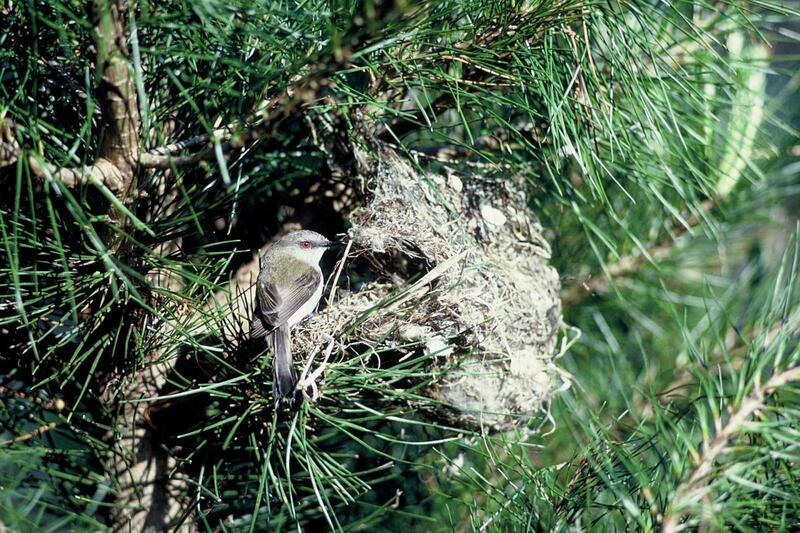 Nests are usually placed in tree species with smaller leaves, such as manuka, kanuka and Coprosma spp. 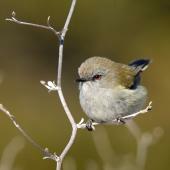 Birds in the north appear to raise one brood only per season, whereas those in the South Island are typically double-brooded. 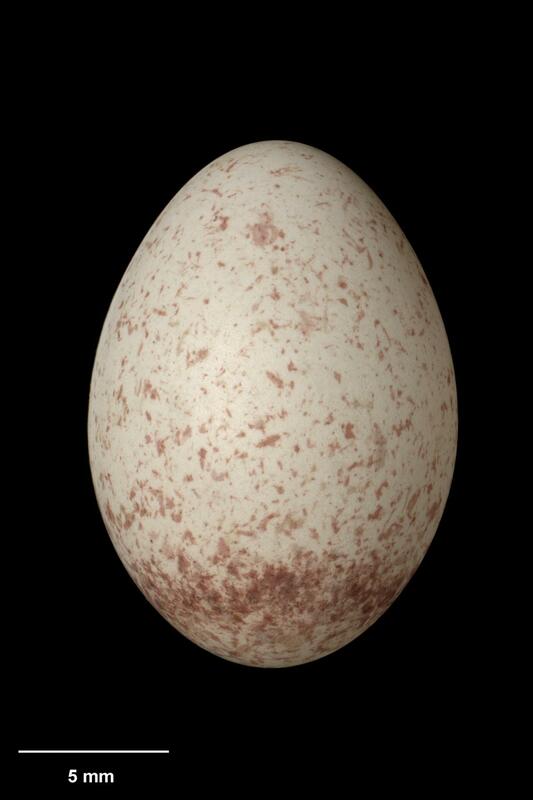 Females lay 3-5 eggs per clutch. 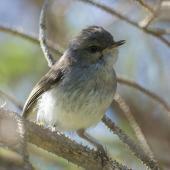 Grey warblers are the only mainland host for the brood parasitic shining cuckoo. 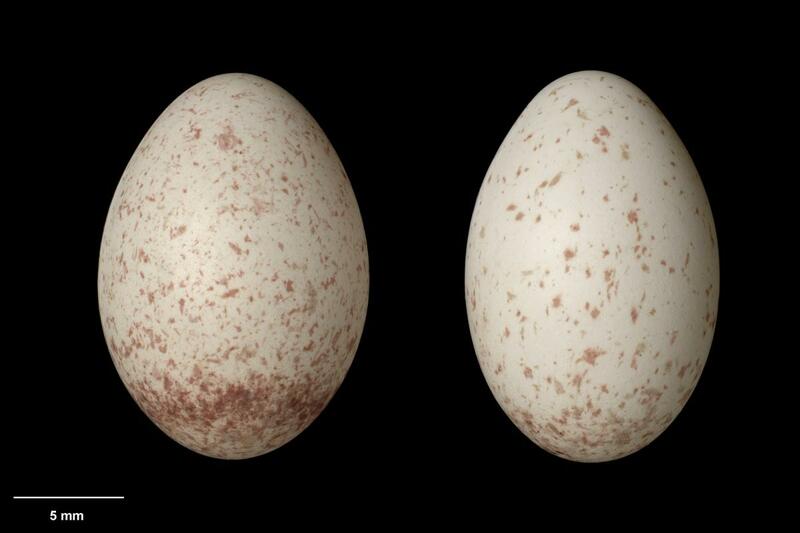 The female shining cuckoo removes a single egg from the clutch, replacing it with her egg. 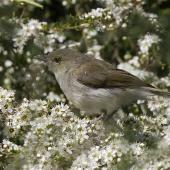 No egg rejection behaviour is shown by the grey warbler. 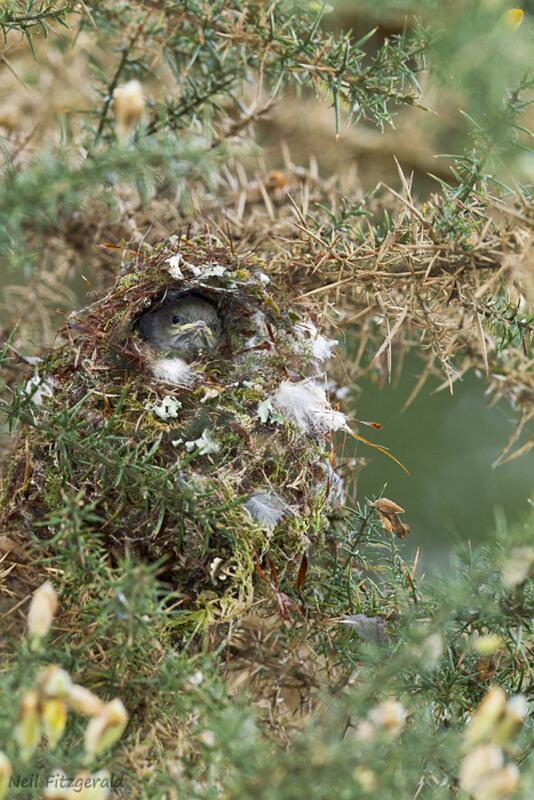 After hatching, the cuckoo chick ejects all grey warbler eggs and/or nestlings from the nest and is raised alone. 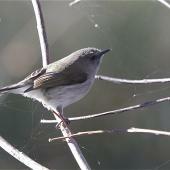 Grey warblers are often seen flying short distances, moving between branches in the canopy. 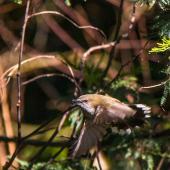 They have a very fast wing beat, almost hovering at times while foraging. 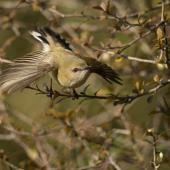 They usually associate as pairs, although there may be some distance between them. Contact is maintained with short chip calls. 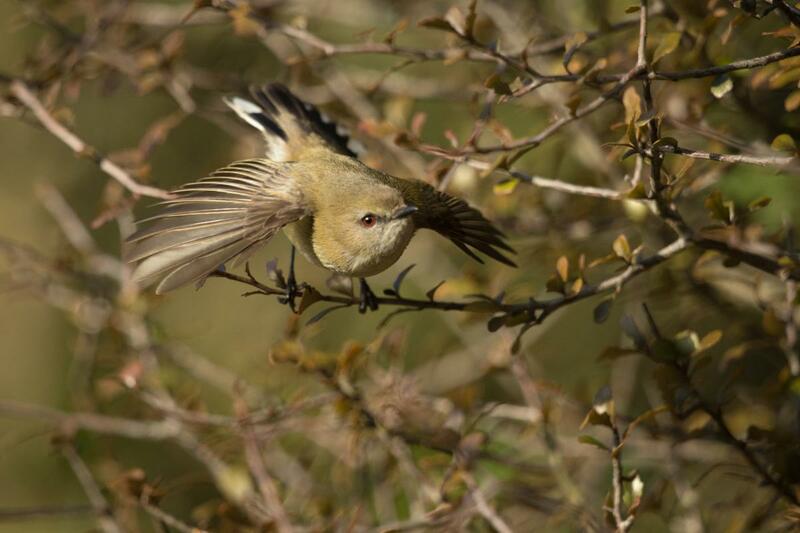 Pairs stay in their territories year round, although they are not defended during the non-breeding season. 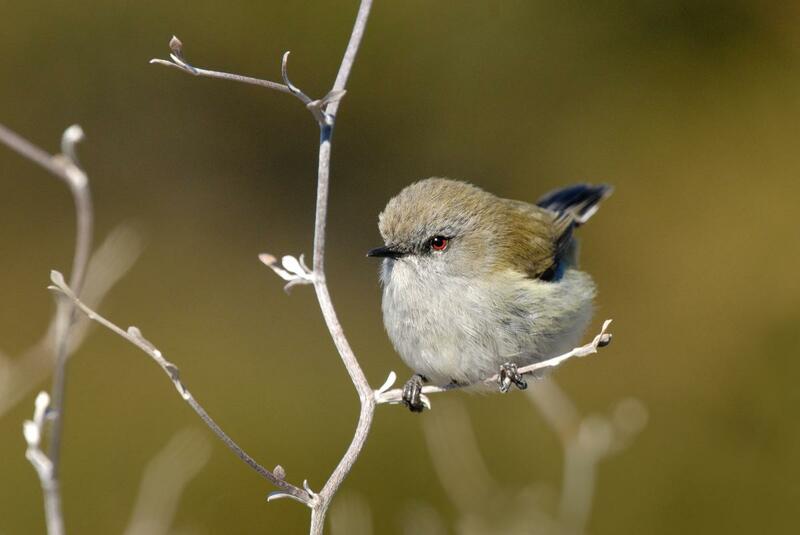 During the breeding season, the male sings frequently and actively defends his territory. 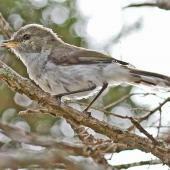 Grey warblers are entirely insectivorous, feeding mainly on caterpillars, flies, beetles, moths and other small invertebrates. 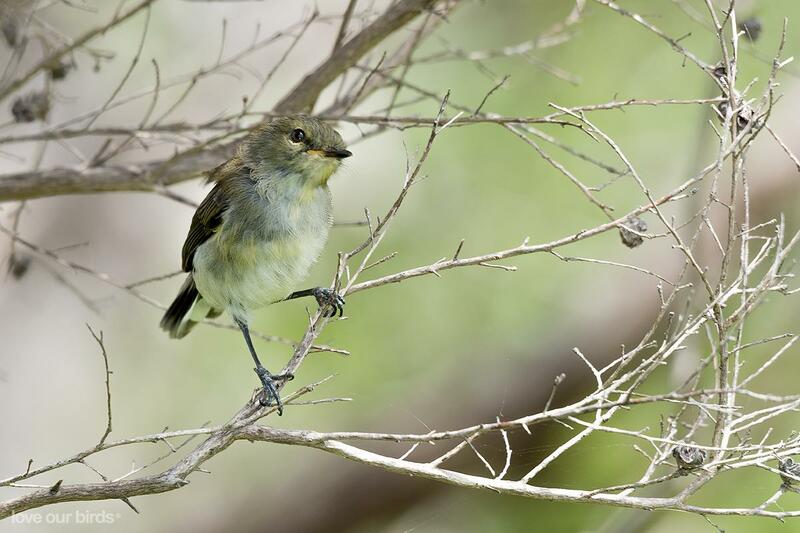 They are typically seen foraging on the bark of trunks and branches of trees, or hovering just outside the canopy while they glean insects from the outer leaves. Anderson, M.G. 2009. 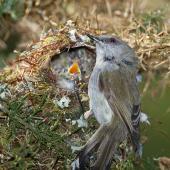 Evolutionary interactions of brood parasites and their hosts: recognition, communication and breeding biology. 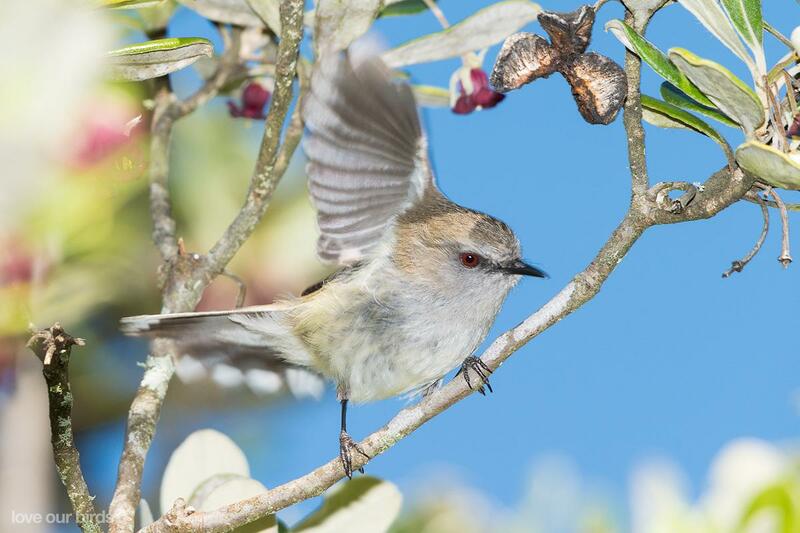 PhD, Massey University. Anderson, M.G. ; Ross, H.A. ; Brunton, D.H.; Hauber, M.E. 2009. 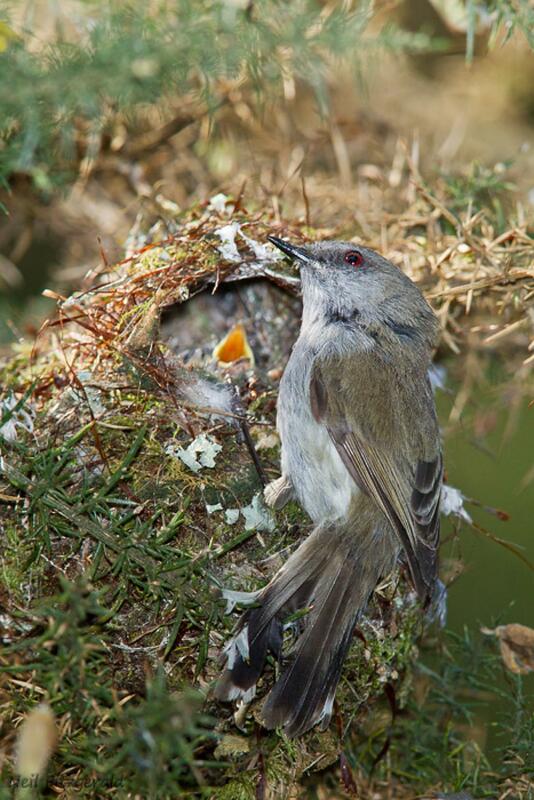 Begging call matching between a specialist brood parasite and its host: a comparative approach to detect coevolution. 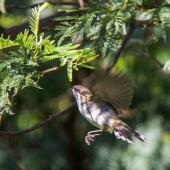 Biological Journal of the Linnean Society 98: 208-216. 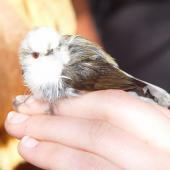 Briskie, J.V. 2007. 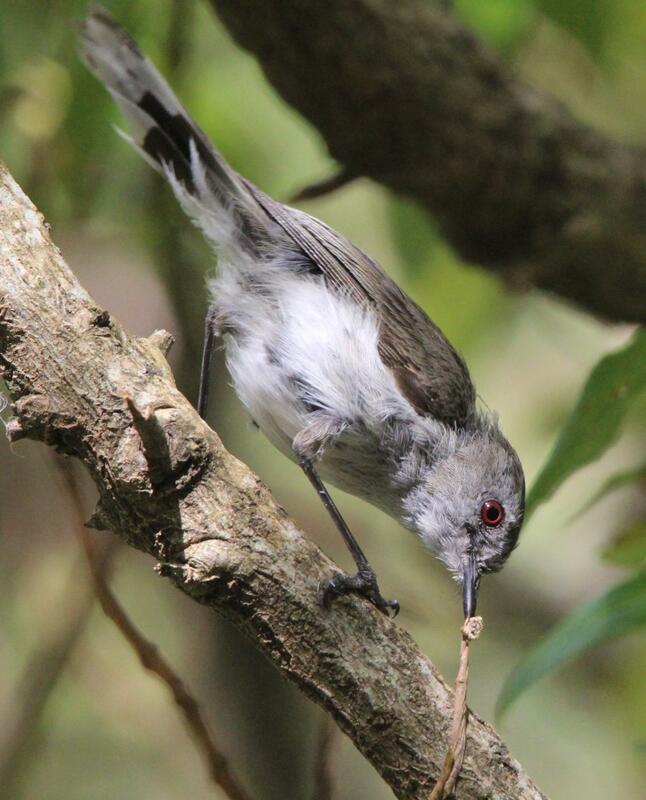 Direct observations of shining cuckoos (Chrysococcyx lucidus) parasitising and depredating grey warbler (Gerygone igata) nests. Notornis 54: 15-19. Gill, B.J. 1982. 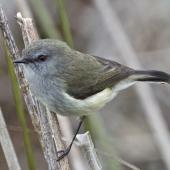 Breeding of the grey warbler Gerygone igata at Kaikoura, New Zealand. Ibis 124: 123-147. Gill, B.J. 1983. 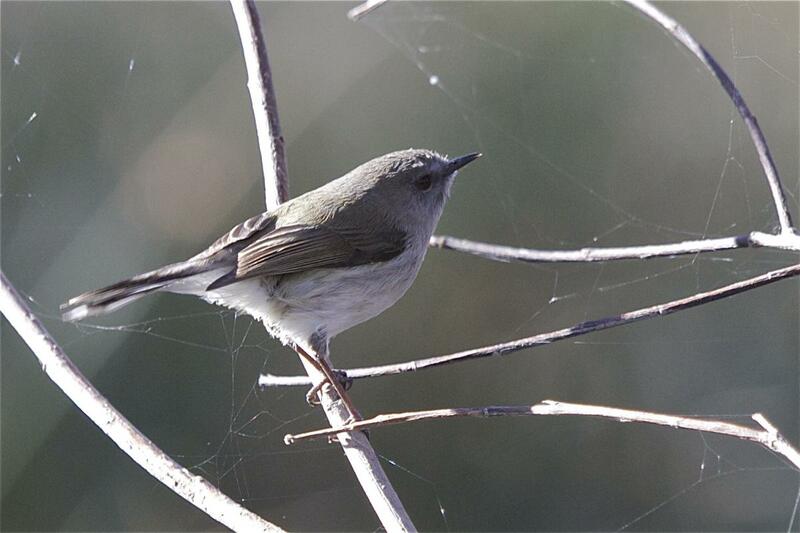 Breeding habits of the grey warbler Gerygone igata. Notornis 30: 137-165. 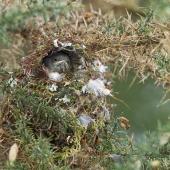 Hanging, enclosed nest concealed in dense vegetation, typically sub-canopy or canopy. 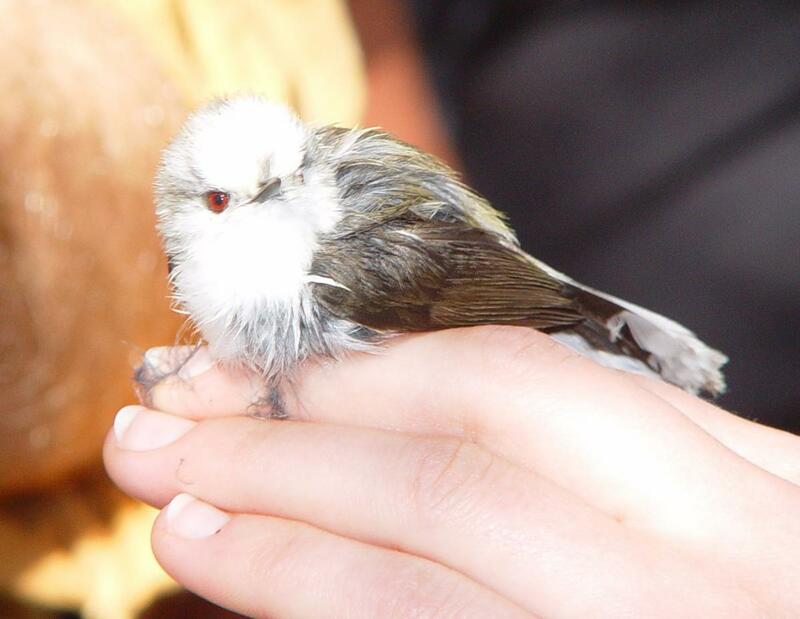 Interior lined with soft material such as wool, hair or feathers. 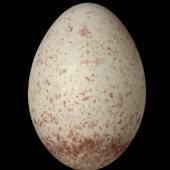 White with reddish brown speckles concentrated towards the blunt end. 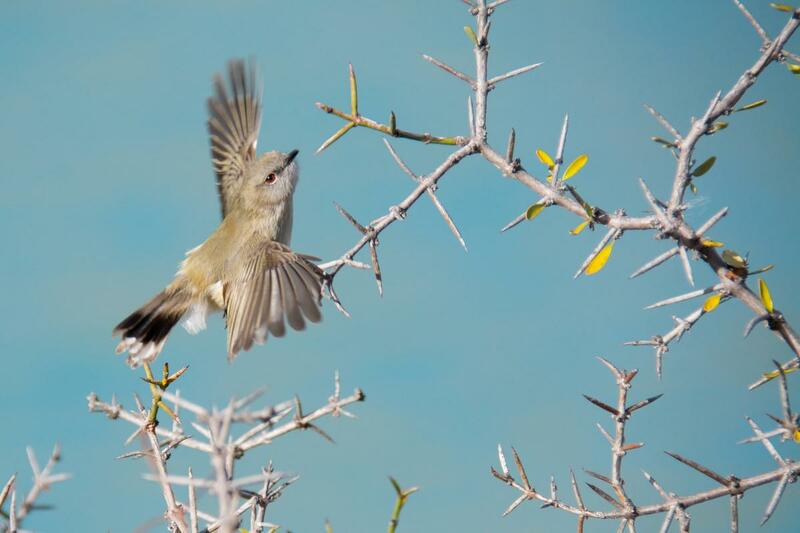 A tiny slim songbird that is olive-grey above with a grey face and off-white underparts, with a darker grey tail getting darker towards the tip, contrasting with white tips to the tail feathers, and showing as a prominent white band in flight. 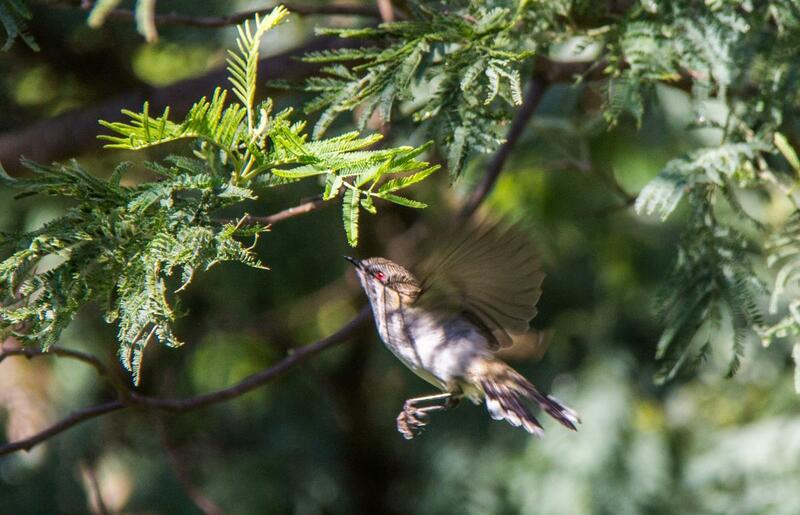 The finely pointed bill and slender legs are black, the eye is bright red, and birds often glean insects from the outside of the canopy while hovering.